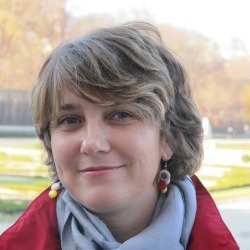 Ksenija Fonović is the Vicedirector of SPES since 2004 and has led all SPES European work since 2003. Ksenija also works as a civil society expert for ISTAT in view of the implementation of the ILO Manual Volunteering Module (2013) and expert on European volunteering, youth and CSR policies for the Ministry of labour and social policy. She is founding member and board director of „Lipa“, promoting South East European women immigrants. She is a competent organiser of international events and initiatives, a practitioner that uses research and innovative practices of the third sector for policy development. Western Balkans civil society is her particular area of expertise. Renzo Razzano, Ksenija Fonović (eds.) Volunteering across Europe. Organisations, promotion, participation. Role: Member of the scientific coordinating team. EU co-funded Grundtvig Multilateral Network coordinated by the University of Liverpool united 20 partners, university centres for life-long learning and volunteer centres, to share experiences of cross-sectoral collaboration and to explore potential for developing new learning opportunities for volunteers. A resource base was developed and four themes analysed: Employability, Citizenship, Intercultural Dialogue and Older Volunteer Learners. Role: Member of the Management Team and Coordinator of the Subgroup on Citizenship.